Live your dream and share your passion: Woman and racing, a personality thing? I have been thinking about this topic for a while and was not sure what to write about it. 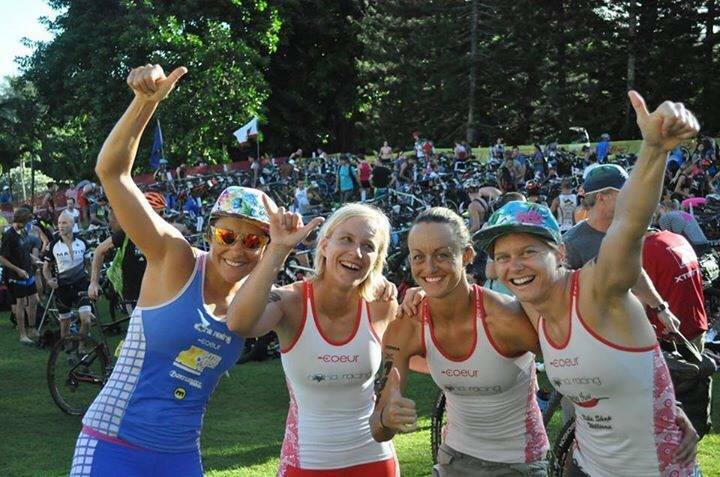 After Imogen prompted a response with her blog http://www.marathonmtb.com/2015/06/17/why-dont-more-women-race/ and Jodie Willet’s http://www.jodiewillett.blogspot.com.au/2015/06/some-thoughts-on-why-more-women-dont.html view on things, I decided to give my perspective. To be honest I think this discussion goes much wider than the question of why there are so few females racing Mountain bikes compared to males as it is something you see in all aspects of life. Why are there less women running big companies? Why do certain professions attract fewer women? etc. 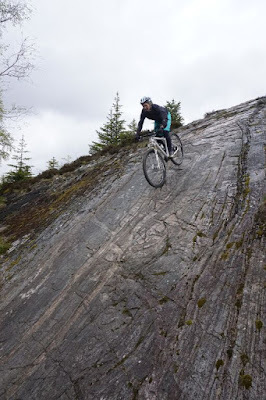 But I will stick to the topic of mountain biking. Well I will actually extend the topic to mountain biking and off road triathlon as I believe they both suffer from the lack of women racing. 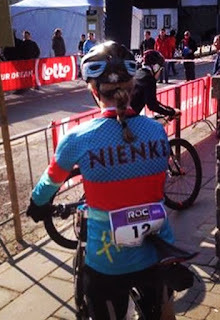 I must admit that having raced in Australia and Europe, I find that the sport in Europe is much more popular to females than in Australia, you only have to look at the MTB World Cups attracting 70-80 girls on the start lines for the XCO format and 40-60 girls racing the XCM format. Enduro and Down Hill mountain bike races are also growing very fast which is great to see. I reckon it must be because the sport is much older and more professional in European countries and therefore it has had a chance to grow. But saying that this is at the very elite level, and there is definitely a lack of female participants compared to their male counterparts at smaller events. I am starting to believe that partly it is a personality thing. I surprised myself this year by joining two female only teams: Aloha racing http://aloharacing.com/ a female only off-road triathlon team, and the other one being FlareClothingco http://flareclothingco.com/ a female only MTB team who are mainly Enduro and Down hill focussed, but luckily for me there are also a couple of XC riders. I have never been someone who has felt comfortable in a group of females. I don’t like shopping, unless going to a bike/ outdoor shop, I don’t wear any make-up, I own one piece of mascara for special occasions, my hair is a mess 90% of the time, and my wardrobe mainly exists out of sport clothing. I am not a girly girl by any means. On top of that I drink very rarely so I have always felt out of place hanging out with a group of girls and a girly night out is something I have managed to avoid most of my life. Because of this I have always naturally gravitated to hanging out with boy’s, playing sports with boy’s, riding my MTB with boy’s, going on adventures with boy’s. And yes you get pushed to "just get on with it". If you can not do it, you learn how to. If you do not want to, you get left behind. If you are scared, you eat a rock and toughen up. Life is simple. I never forget a guy friend of mine saying “where is your sense for adventure” after I complained whilst I was carrying a bike above my head wading through a knee deep mud pool after 5hrs of trying to find our way back. For many girls this is not their idea of having fun. Whether these experiences have made me slightly more extreme I don't know. I do know that I struggle finding girls with a similar attitude as me and when I do find them they are often off-road racers. As a generalization I do find boys to be more competitive than girls, the amount of times I have been dropped on bunch rides and had to find my own way back. I must admit this has pissed me off at times. It will never happen on a girls ride out. There is no easy riding when you go out with boys. I personally do not see that as an obstacle, I will not choose to ride with certain guys if I want an easy ride, but if I want to be put through my paces I know who to call. Being a competitor myself I know there are heaps of tough competitive girls out there who push themselves to their limits,work and race hard, just look at my teammates on Flare and Aloha, but from what I have seen we are a minority in the female population. If boy's in general were not more competitive than girls than we would not be having this conversation right now. Nothing stops a competitive person. It is when competitive females are discriminated against compared to competitive males that it upsets me. But that is worth a whole separate blog post. I believe that racing itself, whether this is to just finish an event or to be fighting it out for the podium also requires a certain mind set. My sister for example who I see as having much more natural athletic ability than I have, does not like racing at all. Yet she would be happy to accompany me or anyone else for that matter on extreme training adventures. Put her in race however, all the effort seems to be wasted on her. She does not enjoy the pressures that come with competition. Ironically enough Flareclothingco founder and team manager Hannah Meyers told me she is the same, she does not like to race herself, yet throw her off a cliff on a DH mountain bike and she is very happy to do so. My sister used to get angry when I tried to push her to race as I got excited about how fast she was, she would say “I don’t want to, I don’t enjoy it, so why should I?” and rightly so. I can't speak for Down Hill racing but I personally have never felt a race was female unfriendly, I have questioned whether a girl should be doing this far more often in my job as an equine veterinarian than when racing mountain bikes!! I would love to see more females racing in both MTB and off-road triathlon, and would love to inspire girls to just give it a try. If the fear of not having the technical ability to ride the MTB course is a problem, you can always get of your bike and walk. If the fear of holding people who are behind you up, remember you have the same right to be there as they have. If the fear of coming last is holding you back, no offense but someone has to, and to be honest no one really cares!! Coming last, being slow, falling off, it does not define who you are! Not giving up, getting back on the bike, working hard, that does. I race because I love it, not to get on the podium, not to get media attention, not to beat people.I race because I know it will get the best out of me as an athlete, I race because it makes me want to get better, stronger and faster. Winning is an awesome feeling but a perfect executed race for 10th place can be equally as satisfying. Racing is hard work, there are no short cuts, there is no easy way, it is like a work of art to get it right and it takes a lot of time to be fast. When you do get it right though whatever level you are competing at, it is more than worth all the effort you put it. That’s why I would encourage anyone to give it a go, just give it a try!! "It's impossible said pride, it's risky said experience, it's pointless said reason, give it a try whispered the heart"
When it comes to sport clothing, I usually prefer to wear jogging pants rather than shorts.